During the summer I like to be lazy and we like to relax. I don't give my kids homework (besides reading) and we don't usually buy big workbooks for them to do over the summer. I do like to put together simple hands-on learning activities with them to review basic fine motor skills, reading skills, and math skills when we have time in fun ways. Although I love surfing Pinterest and looking for exciting Reading ideas or Math activities, it is even easier when I find a resource that I like where I can just copy the activities or put my own spin on them without having to do much digging. My friends Kim & Amanda from The Educators' Spin On It just launched their new book 100 Fun and Easy Learning Games for Kids! 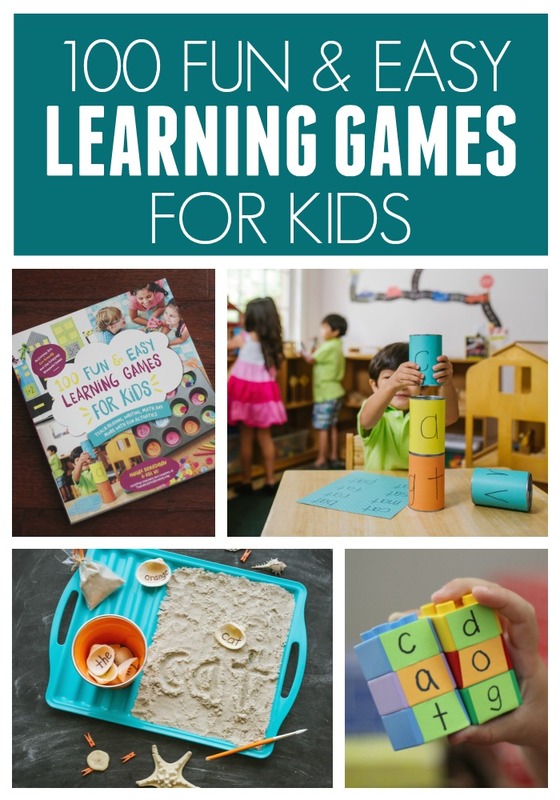 After spending time reading through the book with my daughter, I decided that we will be using a lot of these games to help us have fun and enjoy learning this summer! One of my favorite games in 100 Fun and Easy Learning Games for Kids is the STACK A WORD game! To play you stick paper around a can with different letters on it. Then kids work to stack the letters and make words. As they turn the cans they can change the words that they make. My 5-year-old just learned how to read and loves reading simple CVC words. I knew she would love this stack a word activity because it is a cool way to play with letters. Instead of using cans we decided to put our own twist on the activity and use LEGO DUPLO bricks. This week we are hosting our 3rd annual LEGO Week, so I thought LEGO bricks were the perfect supply to use for this activity. 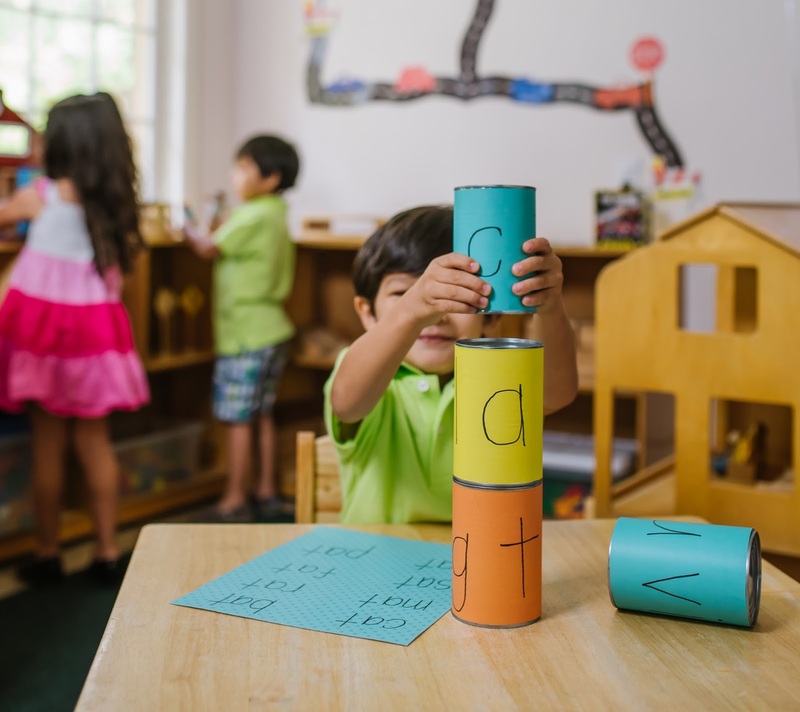 The goal of the stack a word game is to work on blending letter sounds in spoken words. To get started I covered each DUPLO with some paper tape and wrote either a vowel or consonant on each brick. Next I used a simple CVC cheat sheet and called out CVC words for my daughter. Once I called out the word, she tried to sound it out and build it using the LEGO DUPLO bricks. She stacked the bricks together to build the words! This activity was SO EASY and was such a simple way for us to play around with word family words. My 3-year-old even had fun trying to build simple words using our CVC word list. Our main focus was on Short 'a' words. We kept creating new words until all of the letters were used. 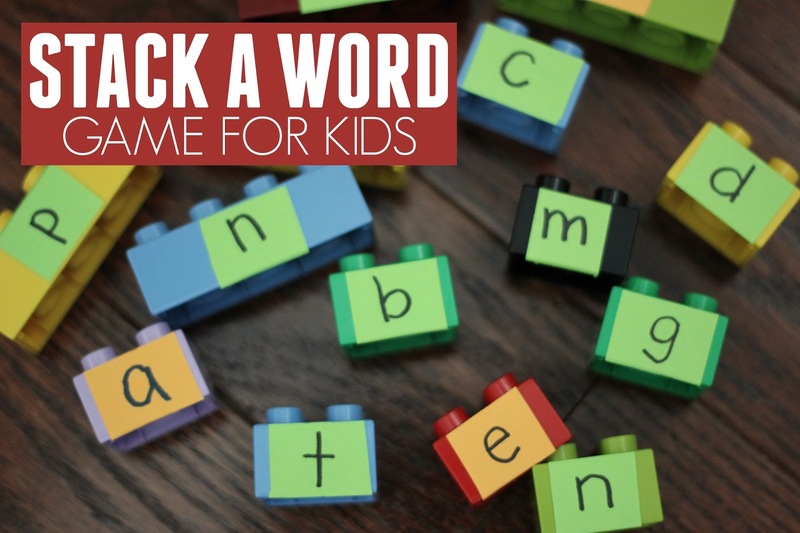 Have you ever tried building words with your kids? We have also built words using sponges before and that was a lot of fun! 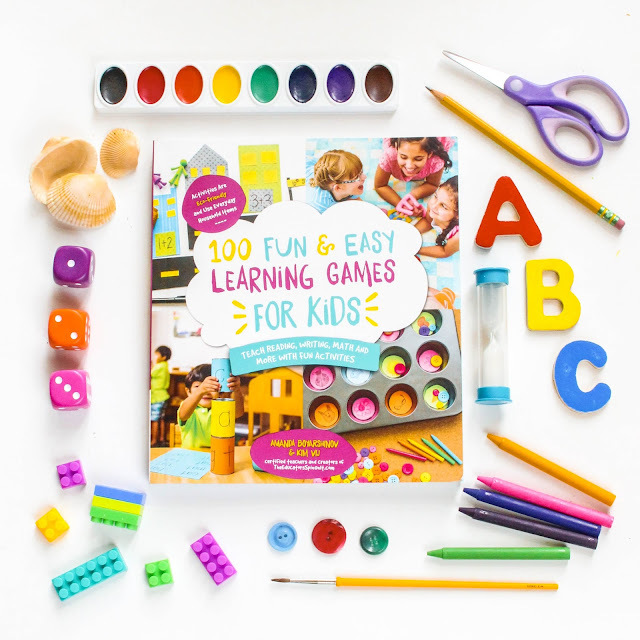 For more simple ideas to help you learn and play this summer you should check out 100 Fun and Easy Learning Games for Kids by Kim Vij and Amanda Boyarshinov. Their book is gorgeous and filled with loads of colorful images. The directions are easy to follow and the activities are eco-friendly and use everyday household materials! 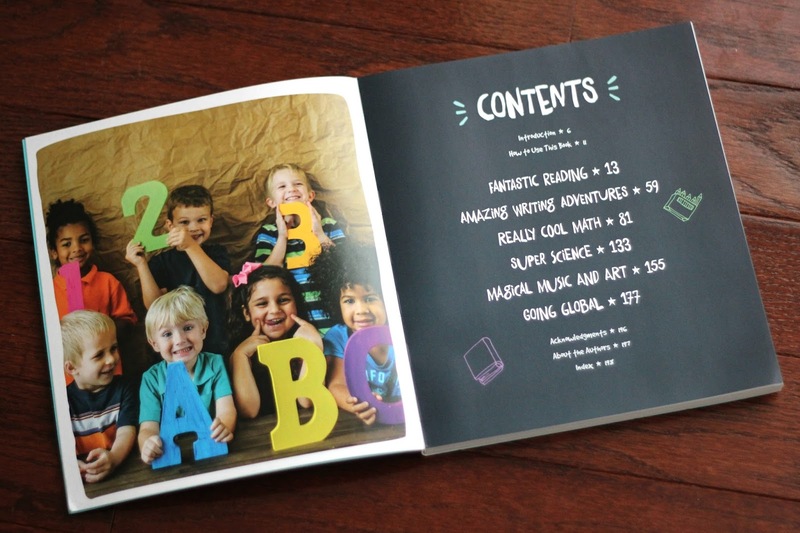 The book is broken down into six sections and and each chapter is filled with suggestions and tips from educators and parents. The activities also include game variations so that you can adapt them to kids of all ages and skill levels. My little ones were so engrossed with the pictures and ideas in the book that for awhile I wondered if they would ever give it back to me! You can find more information about 100 Fun & Easy Learning games over at The Educators's Spin On It. 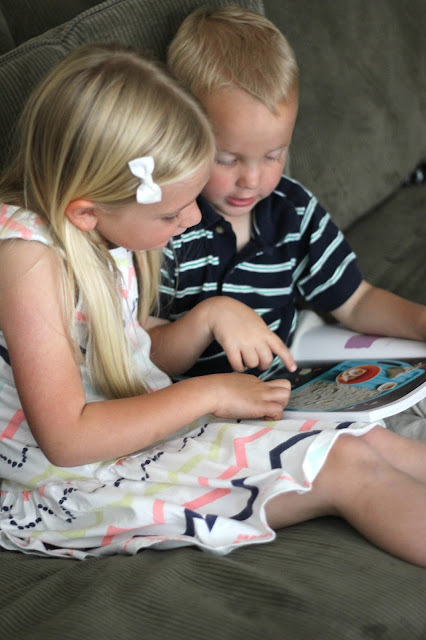 You can purchase 100 Fun and Easy Learning Games for Kids on sale right now for $14.50. I'd love to hear other ways that you sneak learning into your summer in fun and simple ways. What do you do with your kids? 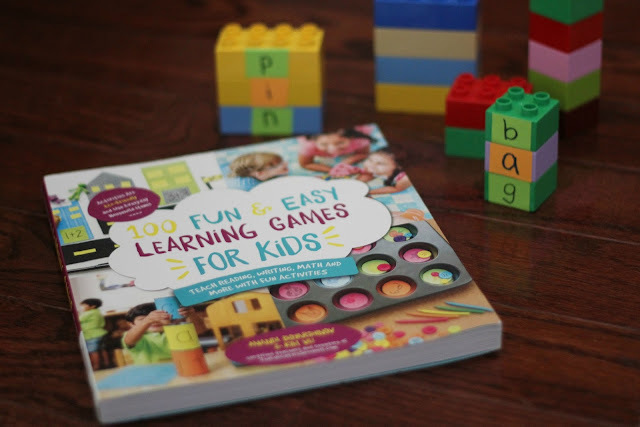 This activity has been shared with permission from the publisher of the book 100 FUN & EASY LEARNING GAMES FOR KIDS. We received a free copy of the book from the publisher so we could share it with you! All opinions are mine!